The word is out- antibiotics cause side effects that can cause long term problems. Food cravings, anxiety, depression, irritable bowels, gas and bloating, pain syndromes, autoimmune related activity, endometriosis, and about every condition out there- have ties to fungal and bacterial imbalance in the body. We have been long-time aware that antibiotic use can lead to recurrent infections, gut damage, and bacterial imbalance. Research is mounting on the complexity of conditions that are associated with antibiotic damage to the body ecosystem. So, why do we use antibiotics? Antibiotics work quickly to decrease growing bacterial infections. We know that feeling of antibiotics calming the immune response when we experience the decreased pain of illness. Antibiotics can be life saving and sometimes an infection can feel desperate. How Do We Deal With the Antibiotics Problem? At NCNM, our goal is to work with the balancing of bacteria and fungus in the body, support the proper activity of the immune system, and prevent the need for any more antibiotics for treatment in all the people who have the privilege of receiving care at our clinic. We have discovered that probiotics and healthy eating are not enough for most people who are recovering from chronic infections. Our doctors’ sense of duty to public health motivates us to continue to explore cutting edge alternative therapies. We strive to renew our cultural belief in the body’s ability to heal. The legacy of the naturopathic physician is one of trusting nourishing medicines to support the human vitality. How Can I Tell If I Have An Issue Related to Antibiotic Use? Candida? A common side effect of antibiotics is fungal overgrowth and one of the key symptoms is sugar cravings. A healthy body has a wide assortment of bacterial colonies- millions of different critters helping us digest food, create nutrients, and have a functional immune system. As a round of antibiotics narrows down the bacterial ecosystem, the environment of the body becomes a perfect place for fungus to thrive. For some people, their bacterial diversity has a tough time recovering itself and fungus continues to dominate the body. This can lead to countless sensations- including cravings, irritability, bloating, itching, brain fog, and chronic infection. People can become frustrated with the symptoms and completely overwhelmed by all the options for treatments. The internet is full of inaccurate information about how to deal with these symptoms. Often, testing is necessary to fully design the best approach. Our doctors help people individualize the approach for bacterial and fungal balance. Someone experiencing imbalance symptoms often need a careful 2-6 month plan to help turn it around- as well as continued maintenance over time. I haven’t felt good since that time I was sick. I keep getting these same infections- sinus, genital, throat, lung, etc over and over again. My gut is impossible to figure out- I can’t tell what is causing the bloating or discomfort- and I used to be healthy! I have had to resort to antibiotics more than a few times to help get over an infection. 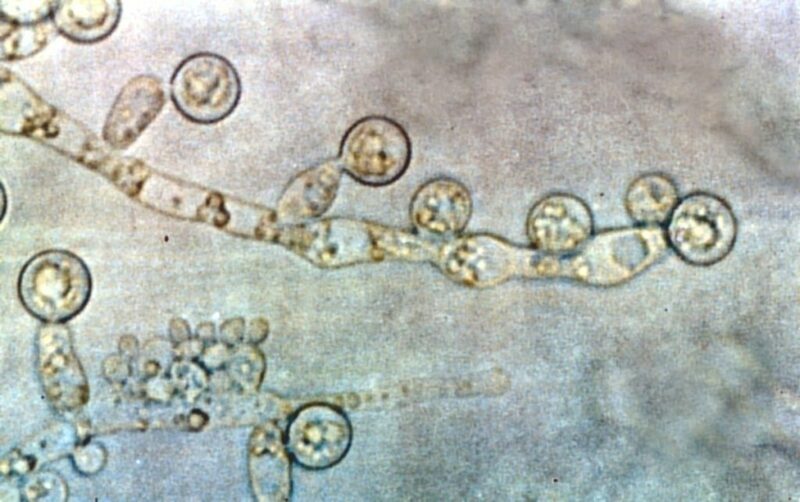 Next time on “Shut up, fungus!” Learn how Candida can grow and thrive in the body and even impact the way you think and crave! Sign up today to receive our blog updates!